Sliquid now offers its L-Arginine-free formula as part of the Sliquid Organics Collection and Ride BodyWorx line. 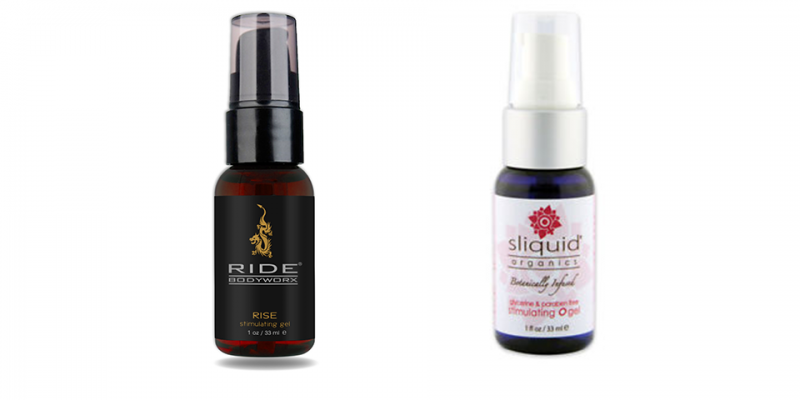 Sliquid Organics Stimulating O Gel for women and Ride Rise arousal gel for men feature Sliquid’s all-natural formula. Sliquid Organics Stimulating O Gel features branding, packaging and merchandising to offer a seamless connection to the full line of Sliquid’s products. Featuring a pump top, O Gel gives retailers a cross-over item that wants to appeal to female shoppers of all experience levels. Ride Rise is comprised of the same body-safe ingredients but merchandised to attract a demographic that identifies with a more masculine look. The aesthetics of the packaging could make it easier for retailers to display Ride Rise and the entire Ride BodyWorx line as luxe gender-neutral lifestyle options that also appeal to the growing couples market. These gels enhance through topical application, a method that is safer and less invasive than ingesting herbal supplements according to the manufacturer. Ride Rise and O Gel gently promote blood flow to the skin’s surface using a combination of peppermint oil and a sparse amount of menthol without the use of L-Arginine – an amino acid found in the human body that’s commonly used in many consumer products. Though it’s used in other products, this chemical can cause unfavorable reactions in users with certain medical conditions. Sliquid opted to use plant-based alternatives to L-Arginine to cater to a broader consumer base. “As with all products under the Sliquid moniker, Ride Rise and O Gel are formulated with plant-based alternatives to ordinary ingredients and help soothe and excite delicate skin, resulting in naturally superior arousal gels that can be enjoyed solo or with partners,” Elliott said.